Welcome to the inimitable Charlie Chan's guesthouse on Cameron Road, Tsimshatsui, Kowloon. 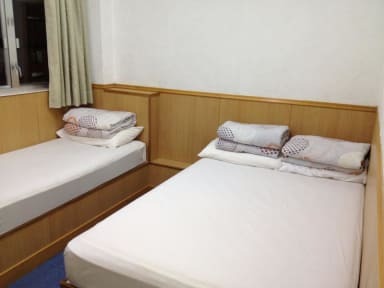 We provide accommodations with superior quality and security to the nearby notorious Chungking and Mirador Mansion at a reasonable price and in an extremely convenient location. We are highly recommended and honorably mentioned in most famous guidebooks such as Lonely Planet and Rough Guides. All of our guest houses are licensed guest houses, and have complied with the government regulations on fire safety and building safety. - Fridge, a microwave oven and a water kettle available on each floor of our guest houses. 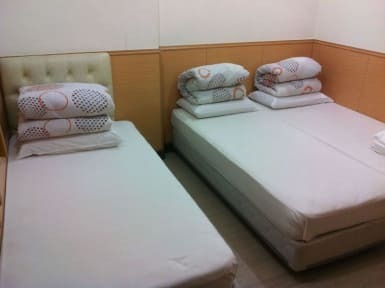 We are not located at the notorious Chungking Mansion and Mirador Mansion that are infamous for their unsafe (relatively higher crime rate) and unhygienic environment (rats and roaches). The building where we located, Fook Kiu Mansion, is thoroughly renovated just a few years ago. We have complimentary in room Wifi broadband Internet connection available, also an Internet Kiosk in the lobby. Quiet and Clean. Good facilities.